I am a new reader / browser of your website. Just had a doubt. The net profit of DCM is declining. is it still a good stock to buy. Yes it is right that profit is declining so when a good selling company suffer from loss that was a good time to buy this stock so this is the reason that why I say that may be 20-30% more downside is remain but price range 36 to 66 is best buying price for next 3 year target. I have a doubt. If the volume of stocks traded is very less, how do we sell our stocks after a year or two when there are less buyers. I am just a beginner. Pls pardon me if i have asked anything wrong. For example, DCM Ltd the stock traded for the day is 7259. and for 30 days is 30332.40 only. Please help me by clarifying this doubt. 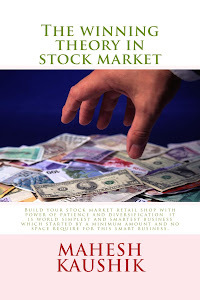 Stock volume are not a constant thing it all depend on stock demand and supply so your doubt is right but if our stock is perform then many buyers available in market and if not perform then it is difficult to sell if your script is illiquid but DCM is not a low volume stock and current volumes are sufficient. Two questions, there are many stocks which also fulfill all your requirements/conditions so why did you pick only this stock ? Second your rule 52 weeks high / 52 weeks low should be less than 2, don't you think that it should be applicable only for those stocks where stocks price is increasing as we all understand in a single year any stock can not give you more return than that, buy for those stocks where price is decreasing i think higher ratio value is good to buy the stock ? 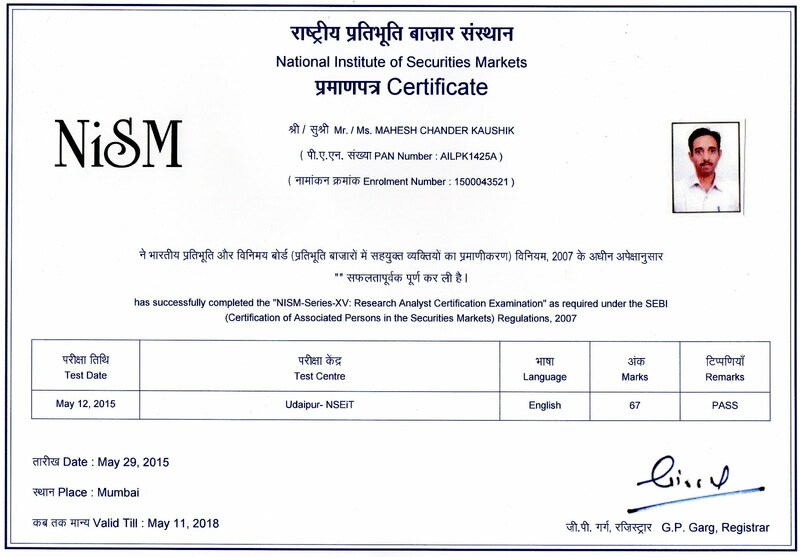 I scan 300-400 stocks then found DCM which full fill all of my criteria I wonder if you quote some of stocks which full fill my criteria s ( except PSU bank, Steel, Construction stocks because I already publish 2-2 stocks from these sector so if I publish more from these sector then our portfolio not diversified in many sectors). for 52 week high/low ratio please read my book. example: I bought omax auto 108 share @ 46.81 on 02/07/2015. this share traded it's 52 week high = 94.20 on 04/01/2016 which is almost more than 90% from my buying price. Later market fall down rapidly and currently share is trading @ 59. Now my question is what selling strategy to follow, to make sure we are not selling early and as well we are not selling too late that we loose all the profit we got. Also do you sell your share once you got 15% profit even before one year(let say in case of DCM it is now trading 15% up from suggested price) or in any case you hold the share for one year. Manish ji please wait I publish a fresh video or article about your issue. if bulk deal is happen after your buying and you are in good profits then book your profit otherwise just hold your stock. Please what are your views in TV18 Broadcast. I am thinking to add this share to my portfolio. Sir. Which is better, Nalco or Hindalco. Both are trading near its base price. what is book value of a share..?